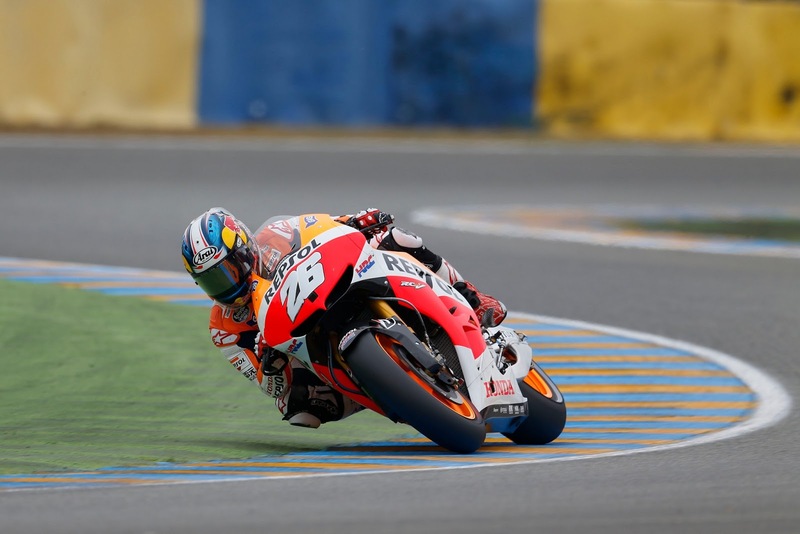 Dani Pedrosa struggled in MotoGP qualifying this afternoon at Le Mans, and will start the race from the back of the second row. Despite finishing combined free practice in second position, a crash early on in Q2 meant he was only able to set two flying laps towards the end of the fifteen minute session. The Spaniards final lap of 1.33.639 secured his sixth position on the grid after being pushed down the order. Next Next post: Dovizioso: "I didn’t think I’d be able to do that"